Many congratulations to Craig Mason from Cheddar who passed his Practical Driving Test first time with just 6 minors on Tuesday 23rd April 2013 at Weston-Super-Mare driving test centre. All the best from your Driving Instructor Andy Skyrme and all the team at Starfish Driving. Great drive, now on with Pass Plus? 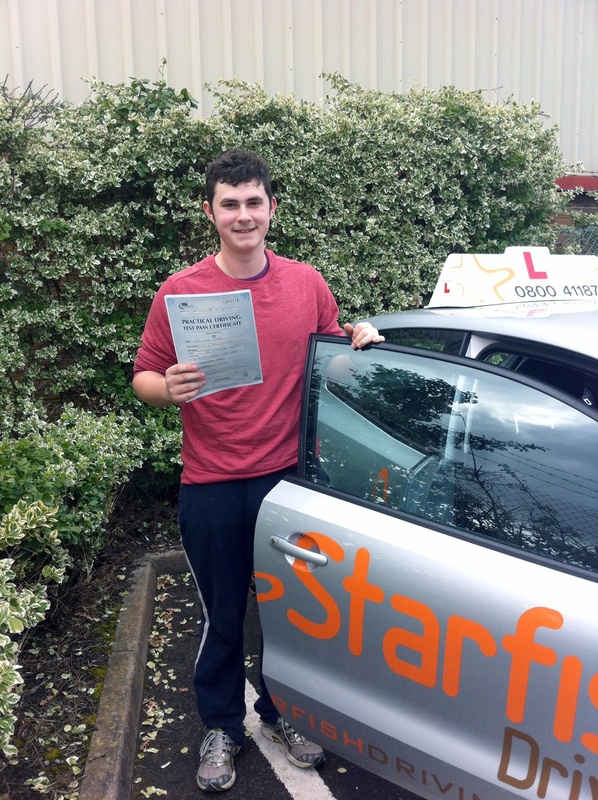 Jack with his Practical Driving Test Pass Certificate outside Weston-Super-Mare Driving Test Centre. 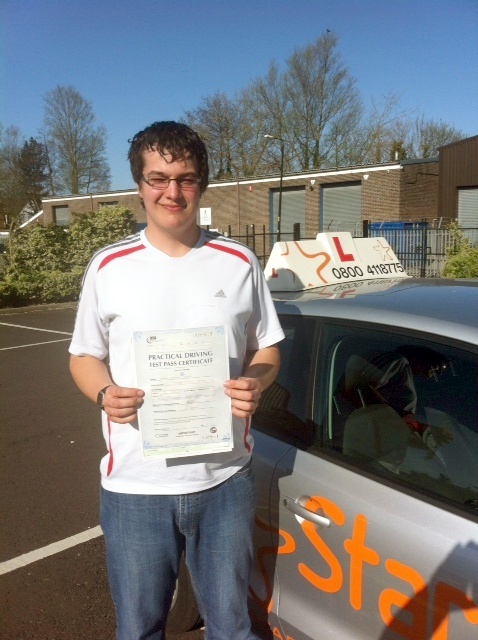 Many congratulations to Jack Frasier from Cross who passed his Practical Driving Test first time with just 1 minor on Tuesday 16th April 2013 at Weston-Super-Mare driving test centre. All the best from your Driving Instructor Andy Skyrme and all the team at Starfish Driving. Now on with Pass Plus and skid pan training?